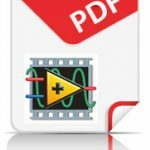 The PDF Toolkit Pro Single is a license for one user, including 10 runtime licenses. Run-time licenses are required if the ‘Professional Edition’ is used for commercial purposes. 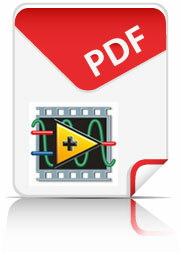 The PDF Toolkit Professional Edition includes a complete implementation of the PDF specification. The developer has complete control over where to put texts, graphs etc. on the page. With the toolkit it is possible to encode the layout of the required document in one or more VI’s and let the LabVIEW application fill the template with data to produce a pdf-document. Unlike the free edition, the Pro edition includes no reference to Carya in the reports. Do you wish to order the PDF Toolkit? Please choose a license with the number of developers you have in mind in the menu below. The Carya PDF Toolkits for LabVIEW V1.1 (Free edition) and v.2.x (Pro editions) support the following operating systems: Windows and Linux (only versions supported by NI LabVIEW). Here you can download the PDF Toolkit Free. The Free Edition is an evaluation version containing a limited set of features. On the generated reports a small reference to Carya is displayed.